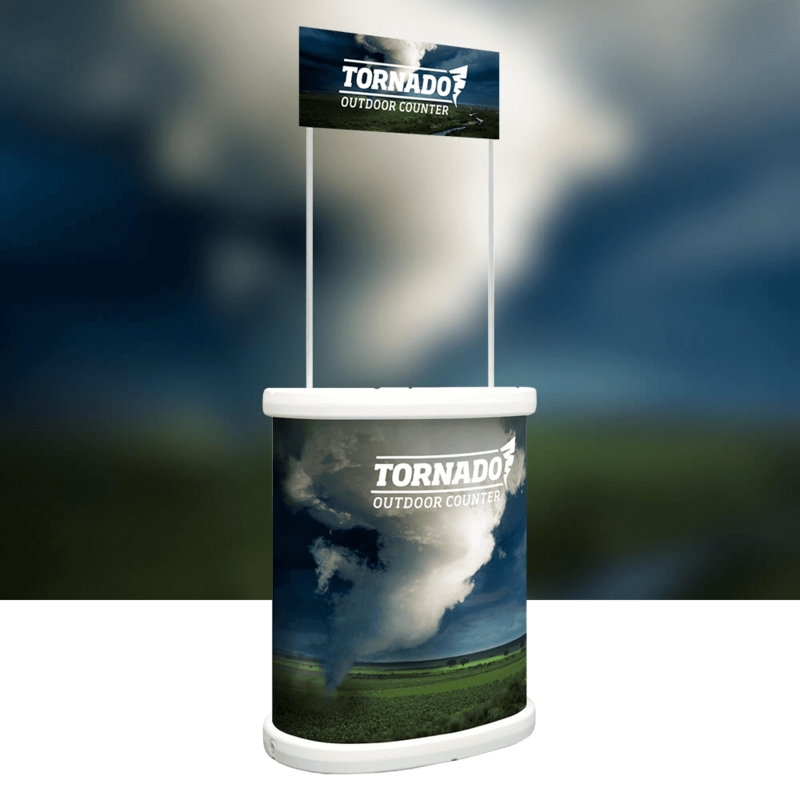 The Tornado is constructed from a lightweight frame with tambour graphic wrap, making it a very portable promotions counter. Additional features such as support poles and header panel give a brilliant finish and high visibility. 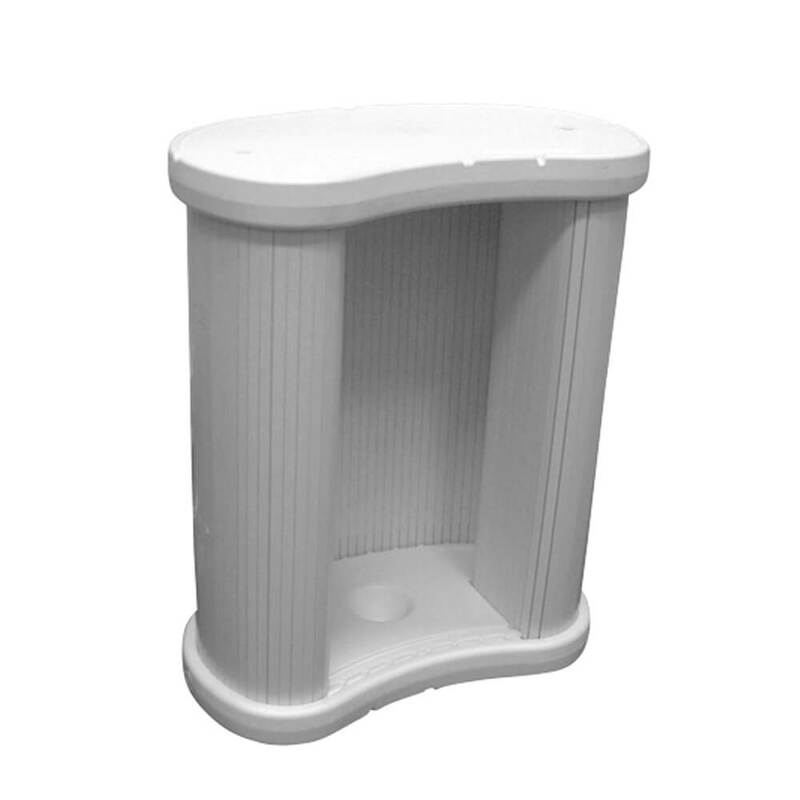 The hollow base can be filled with water or sand to make it stable and secure in outdoor environments.